It’s January and the season of harvest rings in cheer, happiness and prosperity. 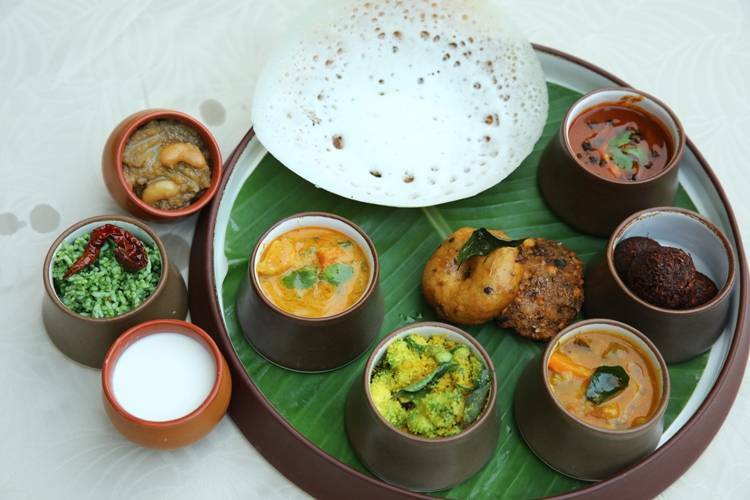 What better way to savour the spirit of this festival than to head to Raintree, the authentic Chettinad restaurant at Taj Connemara and savour traditional South Indian delicacies at their special Pongal menu - a grand feast for the senses! The set menu begins with Karumbhu Saaru (Sugar Cane Juice); Keerai Vadai; and Kambhu kuzhi paniyaram while the main-course includes the specialities like Parankikai puli kozambhu (A pungent curry of shallots and red pumpkin); Nattu Thakkali athigai Koottu (Raw tomato and fresh fig cooked with lentils and mild spices); Vazhaithandu Porial (Tempered banana stem); Palapinji Kara Khurma (A delicate preparation cooked with baby jackfruit mild coconut curry);Murungaikai sakra vallikizhanghu Masala (Drumstick and sweet potatoes gently simmered in hand ground masala); and the delightful Araichivitta Kathamba Sambar (Lentil cooked with 21 different vegetables). Pongal is not complete without the all-time favourites Sakarai pongal (A mash of rice and lentil cooked in jaggery and tempered with cashew nuts and raisins); Ven Pongal (A mash of rice and lentil cooked and tempered with south Indian spices); and Pala Pazha Pongal (A mash of rice and lentil cooked with fresh jackfruits). Raintree | January 15-17 | Set Menu for Lunch | INR 2500 all-inclusive | Call +91 44 6600 0000 for more details.